With the support of “Bösendorfer Klavierfabrik” we have developed our first sampled grand piano software instrument, a true recreation of a Bösendorfer 290 Imperial that was tuned and regulated by the piano manufacturer’s best engineers and piano technicians. The Vienna Instruments Collection Bösendorfer Imperial makes full use of our new proprietary engine and performance algorithms including automatic repetition performances. Its massive and unprecedented 54 GB sample set includes unlooped sustain samples in pedal up and pedal down variations and in 7 velocity layers, tone repetitions, real recorded sustain pedal resonances, multiple release samples, and key noises. The Bösendorfer 290 Imperial is the only concert grand in the world to have nine sub-bass notes, extending downward to low C, and giving it a keyboard range spanning eight octaves. These extra notes not only provide added richness and depth to the instrument overall, but they enable the performance of works originally scored with lower notes, by composers such as Bartók, Debussy, Ravel and Busoni. For the first time in the long history of piano sampling, the sound of the piano in its resonating state – with the sustain (damper) pedal depressed – has been captured. This results in the physically correct recreation of the piano’s resonant character in both pedal-down and pedal-up positions. With the Bösendorfer Imperial Vienna Instrument there are no sample manipulations, no fades between tones, and no DSP calculations, just an absolutely natural acoustic image of the actual processes that occur during piano playing. Our team has developed a recording process that adds to a single tone the exact sound that is created when the pianist presses the piano’s sustain pedal, allowing other strings to vibrate. So the Vienna Instrument acts just like the piano itself, creating the characteristic pedal tone sound which now for the first time is available in the shape of samples. Another innovation is the Repetition Performances. These samples take into account the sound created when a vibrating string is struck again. With Vienna Instruments’ Bösendorfer Imperial, repeated notes of the same pitch are actually played repetitions, meaning that a new sample is heard with every keystroke. 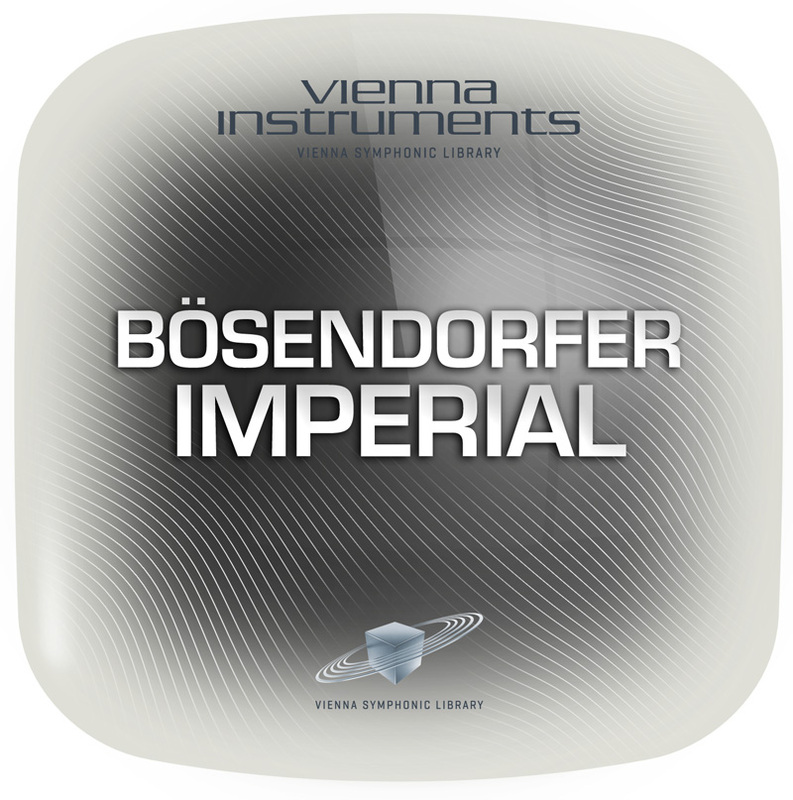 The Bösendorfer Imperial Collection is not divided into Standard and Extended Libraries like other Vienna Instruments Collections, the Standard package includes the full set of samples along with the software instrument/engine. The Library contains 55 GB of uncompressed sample data in 44.1kHz/24-bit. Due to an innovative optimization process, the Vienna Instruments engine decompresses the samples in real-time, so that they take up only 37 GB of space on your hard disk. Between 10GB and 600GB depending on the product, please check www.vsl.co.at for up to date required hard drive space for each Vienna product.